I am the absolute WORST with glass, such an idiot. You weren't washing it over a porcelain sink ? I stopped doing that after the first accidental knock. I've lost some nice glass though from some bad luck. oh no....LOL. So, what was it before it was pieces? No laughing at you, we all drop glass at some point...hopefully not really f'ing expensive glass but still. Also, and I find this to be funny....I have a pair of Playtex dish washing gloves (sheesh...didn't even know Playtex still made these things in the age of dishwashers and carry-out LOL) so that I don't drop it if some hot water hits my hand. 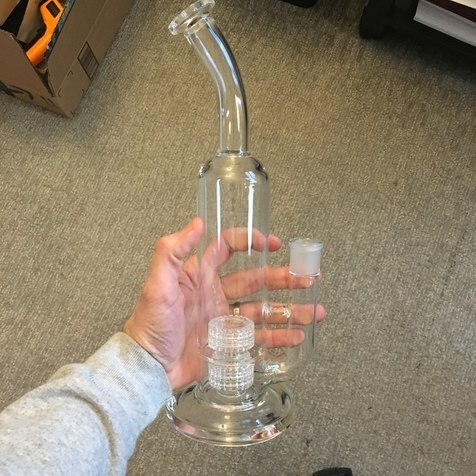 Heheheh yea luckily it was a cheap DHGate piece, phew, and I just cleaned it!! @# :-! :-! I would seriously look at where your glass comes from if you're buying. I feel your pain, I’ve broken tons of glass over the yrs. 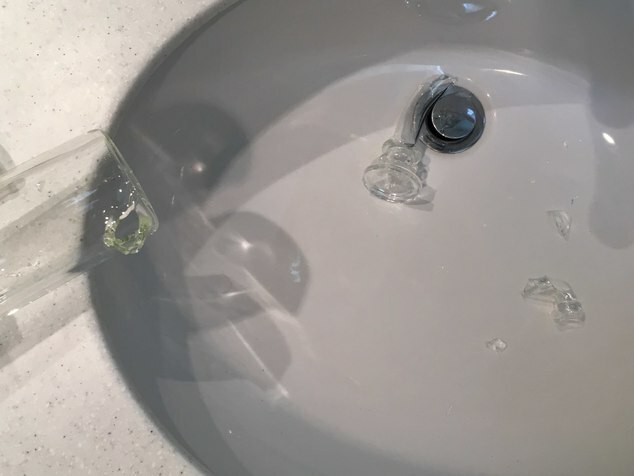 I’ve accidentally destroyed some amazing pieces of glass. Including a £360 limited edition Roor bong and £230 limited edition Grace Glass bong. I’ve easily lost a grand over the years due to breaking glass. That’s why I only buy inexpensive glass now. Can’t wait for the “buds vaporizer Collection” video. Sounds good. I own around 60 vapes and it takes ages to get them all together and clean for a photo let alone a video. So I can definitely appreciate the amount of work that’ll go into that video. You must have at least twice the amount of vapes as me. Maybe you could do a “Buds most used vaporizer collection” video as well. Showing people your 10 or 15 most used vaporizers. I’m sure you must be the same also. Ah, Claude....when I say expensive glass I'm not talking Chinese glass sold by TAG, Smoke Cartel, or Gravlabs. You are exactly right....this glass is Chinese made and sold without attribution to source by these vendors. I believe that this has been going on for far longer than the last few months. But I haven't seen $30 rigs sold for $700....more like $30 sold for $150 and like that. But, many folks don't like buying direct from China due to concerns about credit card data, shipping delays, returns and exchanges, etc. So, for a lot of folks a bit more money also provides more peace of mind. I believe I have heard that these retailers, although selling Chinese made glass claim that due to their buying power they get a better quality of glass. I don't know about that and have been fortunate with my DHGate purchases as they have been square, plumb, and true with good welds and no bubbles or pin holes. Not all have been as fortunate and for $25 - 45 you can indeed get some good functional glass. My few expensive pieces are direct from US artists and I don't buy too much of that stuff as its VERY expensive and its is still glass and subject to dropping. 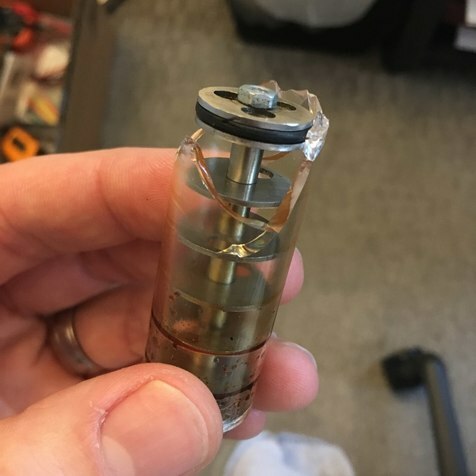 @VapeCritic - not sure who you buy from on DHGate but I rather like stevenlmz79 and clearcleanglass stores. They seem to be very active, actually have some level of CS, and their pieces are pretty good and seem to be getting better. For example, stevenlmz79 is now making laser cut seed of life percs. That's a step up for them. Good luck and maybe Santa will bring you some new glass (but it wouldn't hurt to drop a hint or two to your wife! LOL). You should look at some of the Gold covered Beta rubbish, comes with big warnings not to use ISO on it lol sure it's real gold ? And unfortunately there are some big big scams out there where people are paying those prices. I should say I have now stopped buying China glass, I refuse to be part of it after seeing the poor quality glass crack after a few months or stuff never turn up. Double edit:- https://www.instagram.com/pacstarglass/ there are ways to support local glass companies and not spend a fortune, also decent quality glass. that one site - alibaba comes to mind if anyone wants to...... explore. If you open up dhgate on your browser and your id and password are saved all ready....then this is not a big worry for you. (haaa my situation anyway). THAT’S IT, NO MORE GLASS FOR ME!!!! Welcome to my world... not cuz I’m a klutz but cuz those around me are... most notably, the dog. I use plastic cups at home for this reason. Just the other day I grabbed a bowl and it slipped and I flung it straight at the fridge and it exploded. 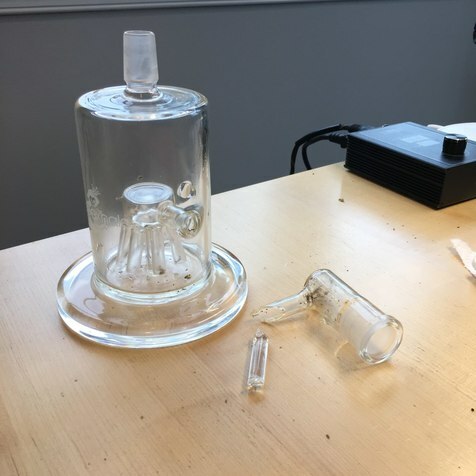 I've retired the arizer but I broke 50% of all the glass stems I bought. Glass is cool except for the glass part. Hehehe it literally flies out of my hands!! So I'm not alone! :-! Can you say DHGATE, children. Yes, you can. Let's put on our cardigan and visit with stevenlmz79. Won't that be nice. Get some deep 70’s shagg, yeah baby! What’s the life expectancy of this one? :-!